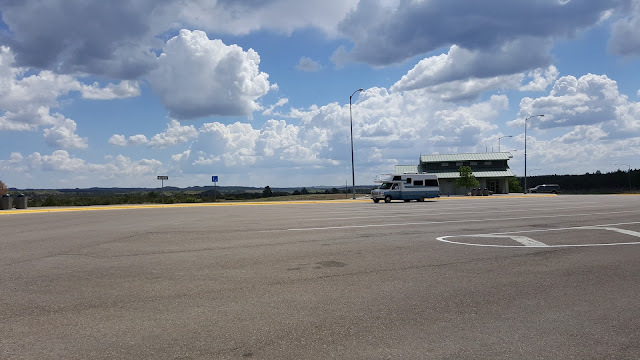 Leaving Great Falls, Montana, Jan and I are heading east on Route 200. 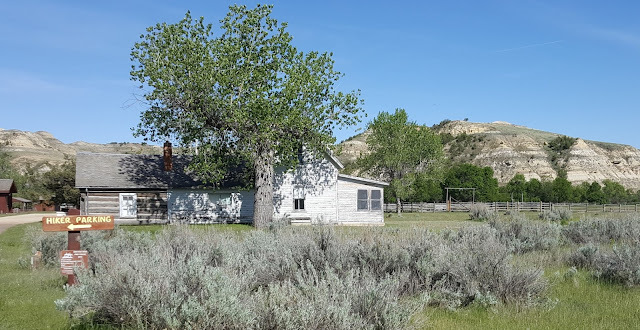 These are some of the views that we enjoy as much as possible, knowing we are leaving the mountain views and soon will be in Prairie views. Around Lewistown , the scenery begins to look like this. In Lewistown , just west of town, we decide to stay at a rest area. 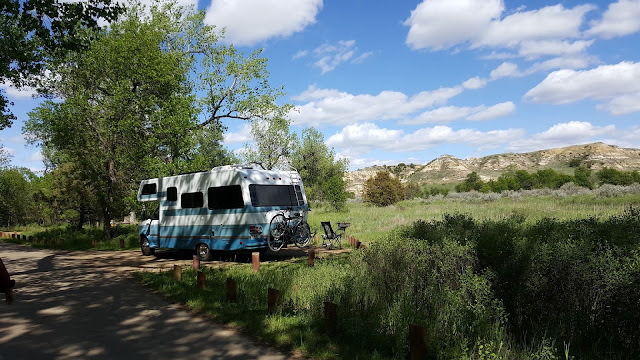 We don't do this often, but this one was listed in a boondocking list we had from our Escapees RV Club. 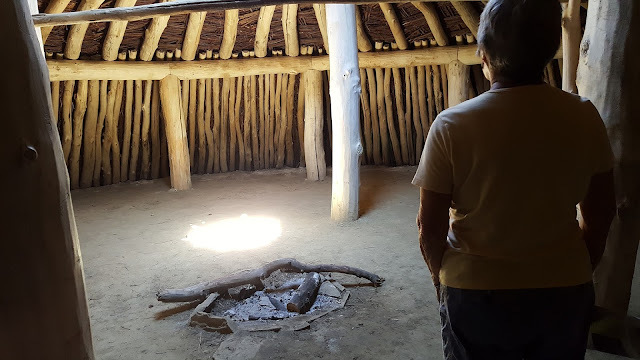 It even had designated spaces and shelters built and maintained by the local Kiwanis Club. This was our second night--about 80 miles east. We sometimes have short mileage days. Very quiet--you can see for miles and miles. If you are asking why, there are no viable campgrounds for these 200 or so miles. Possibly because there are not many people for 200 plus miles. 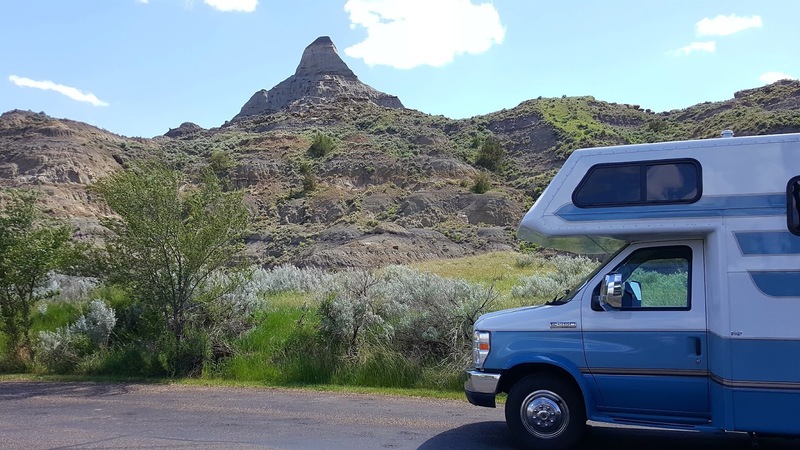 From the rest stop, we travel to Glendive in eastern Montana and Makoshika State Park. 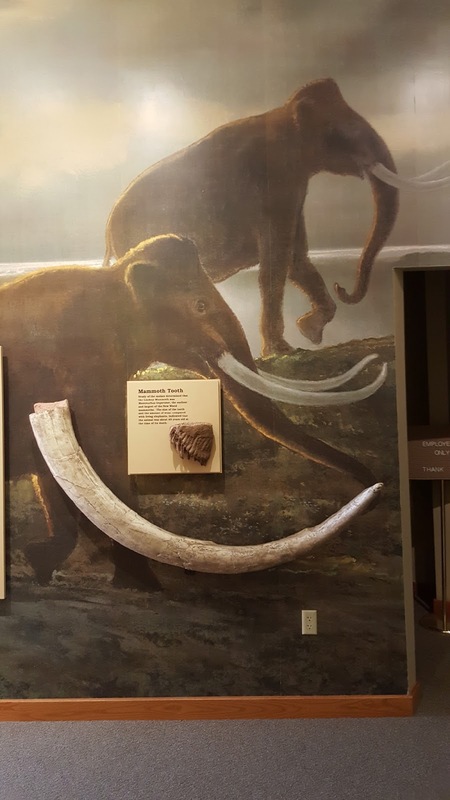 This was a great park for hiking and some information on the fossils found in the area. 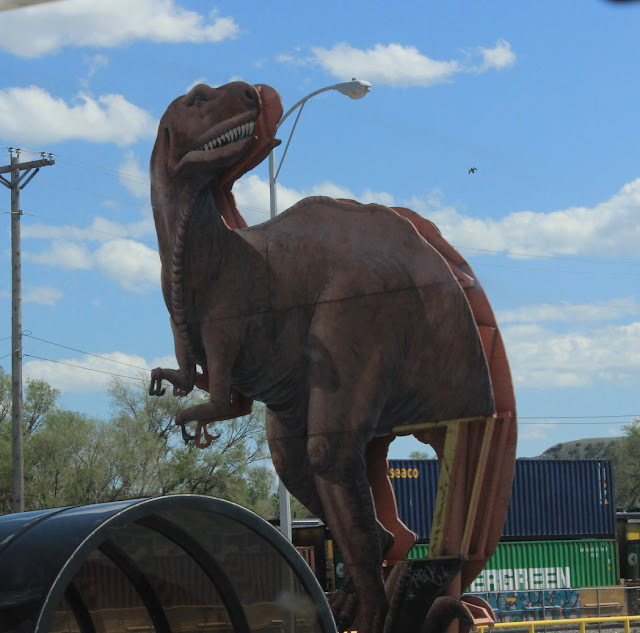 Even the downtown area has dinosaur sculptures. Even the museum has some impressive relics found on the property. It seems this entire area was a shallow sea long ago. 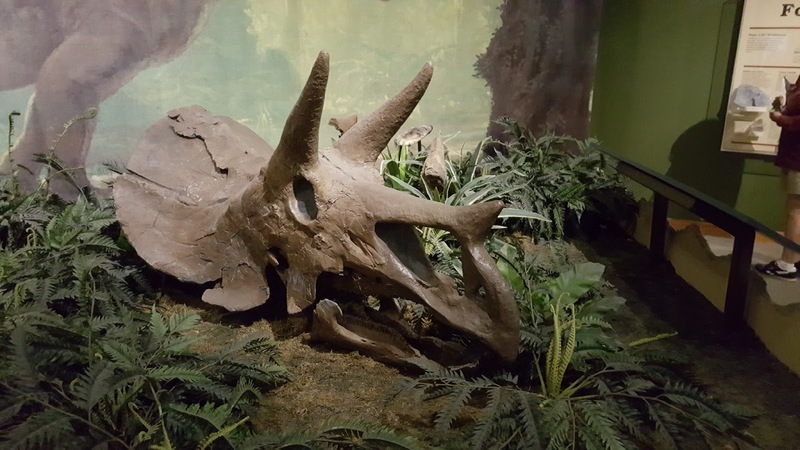 This Triceratops skull was found in 1990. 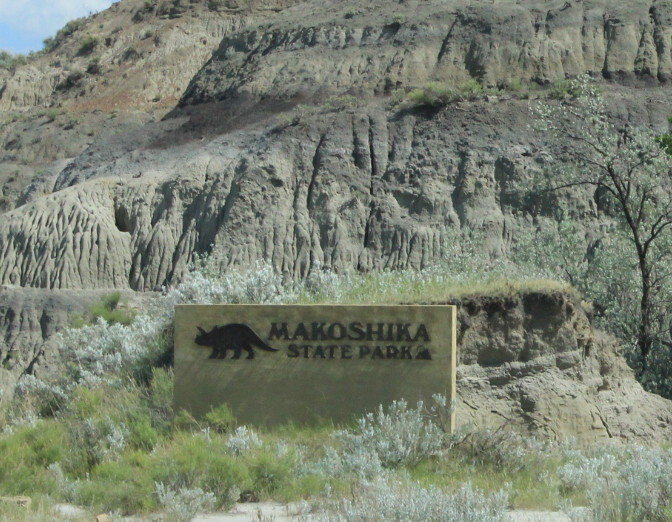 This is a link to the state park. Lady Blue's campsite was quite enjoyable. This is all dry camping. The road behind leads into the park for a long scenic tour. Lots of hiking trails as well. 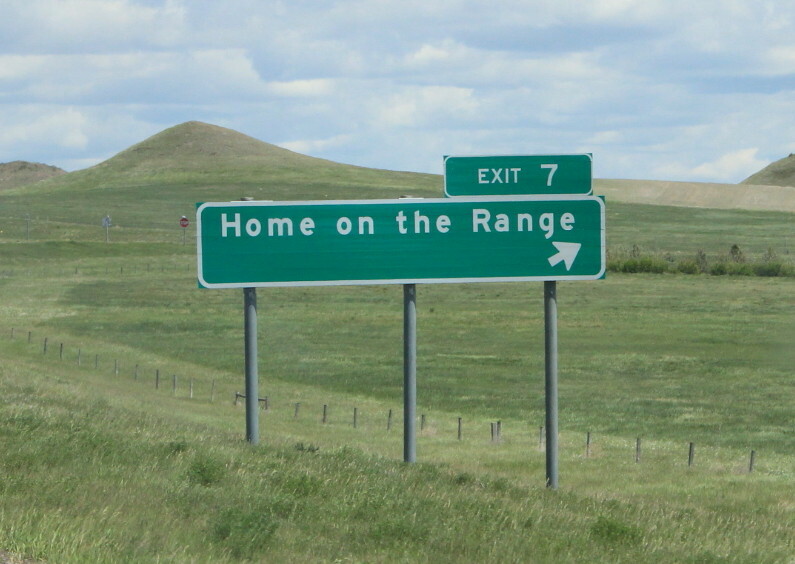 We were headed to our next stop on Memorial Day. Jan and I remembered Memorial Day weekends heading to and from Cape Cod, so we tuned in on our satellite radio to Boston traffic. A fifteen mile backup heading west over the Sagamore Bridge! At that same time, this was our traffic on Route 200. 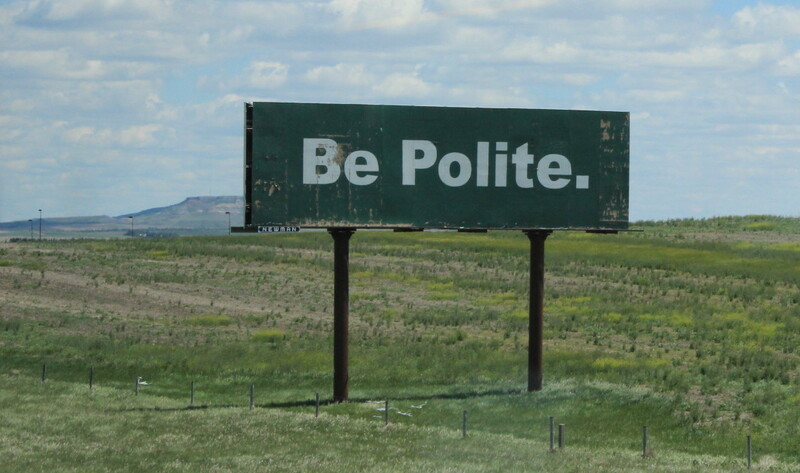 A billboard we never see in New England. A different billboard. Seems it's been here awhile. We agree with the sentiment. All we could think of was------Roy Rogers and Dale Evans. We know --mostly Happy Trails, but his group Sons of the Pioneers also sang this song. 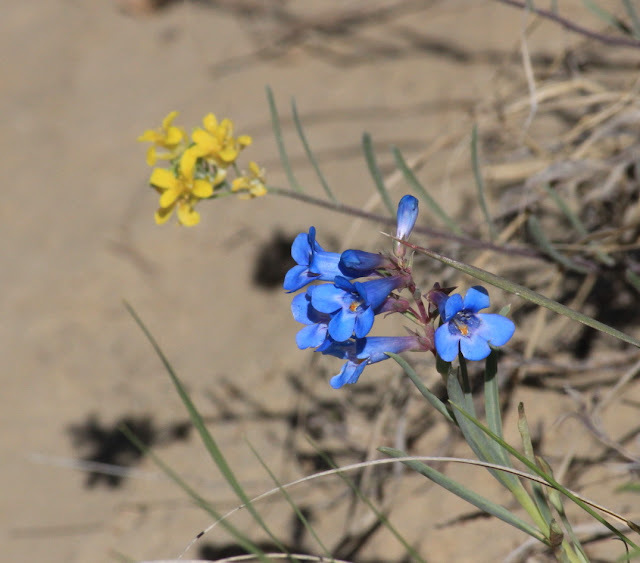 Dry camping again, which is fine with Lady Blue. This is a huge park . We are at Cottonwood Campground in the south section. 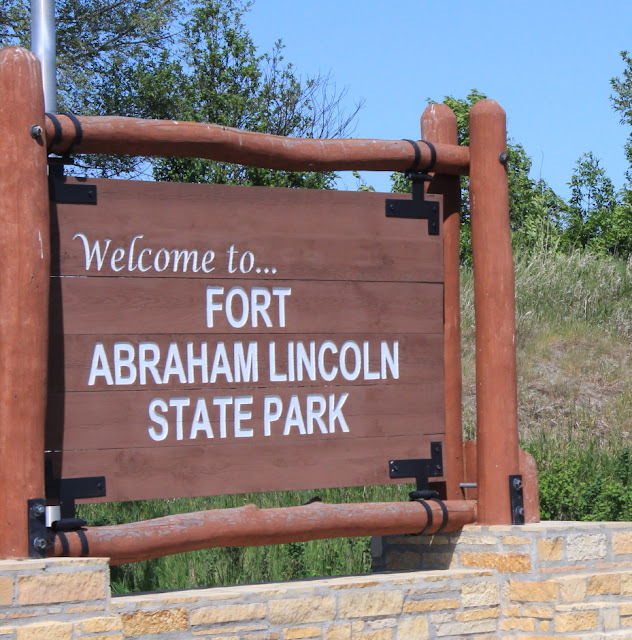 To get to the north section and campground, you would need to go east about 20 miles and then north about 65 miles. 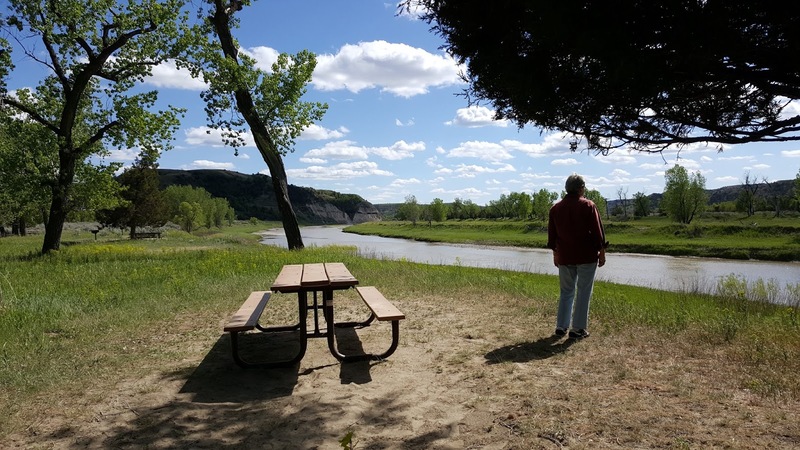 Jan is looking out from a vacant campsite along the Little Missouri River. Yes, there are Bison and wild horses, and other animals wild in the park. 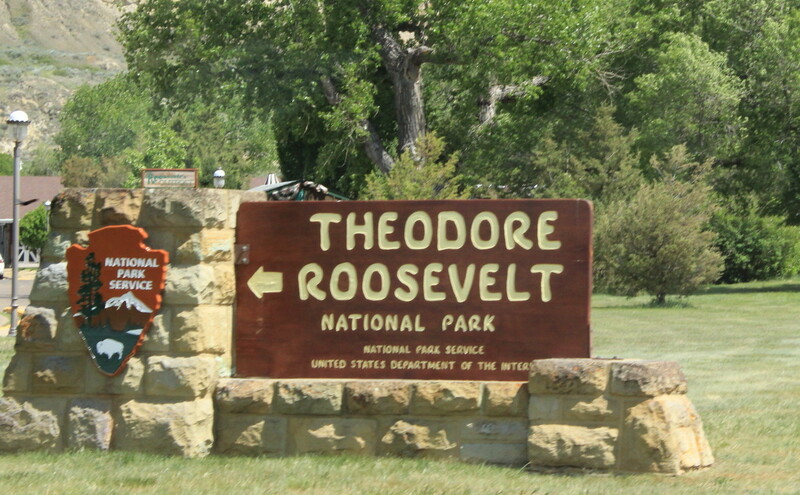 Roosevelt came here first to hunt Bison with his two guides he had hunted with in Maine.--Yes--those were Maine guides!! He returned in 1884 , a young man in his early 20's. He had just lost his young wife and mother on the same day--February 14th in New York . 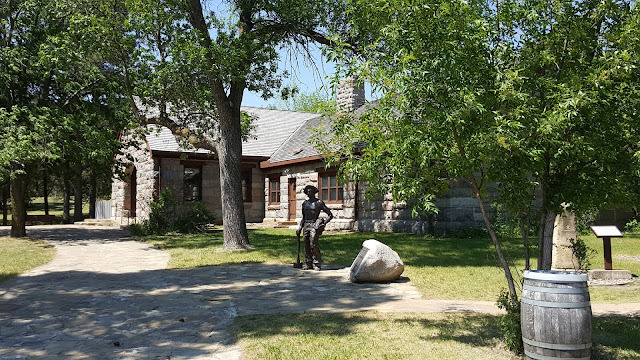 Roosevelt loved his time here with his ranch and more. 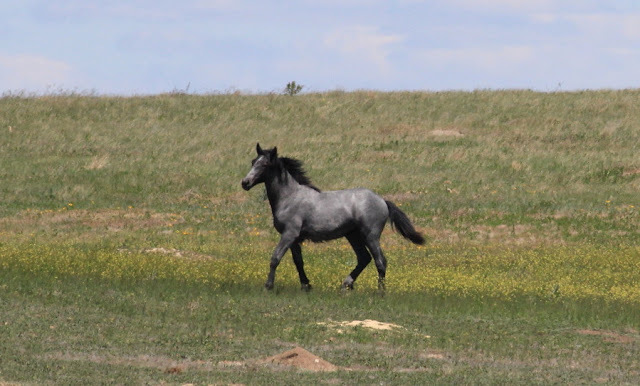 These are some of the wild horses in the park. 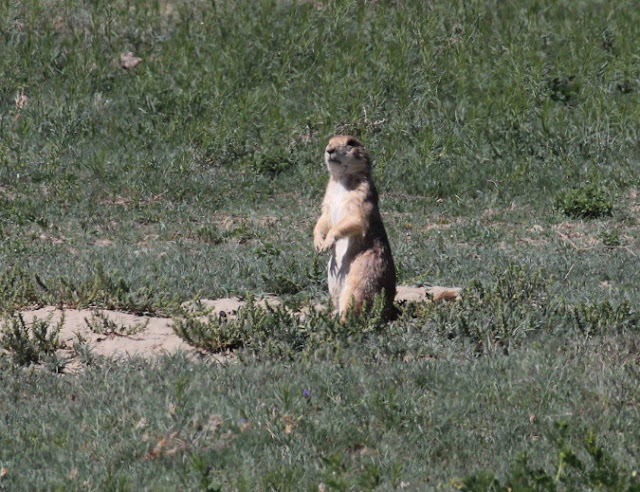 Also prominent along the park roads are colonies of Prairie Dogs. Very social animals, they are fun to watch. There are always lookouts ready to warn the others when you get close. The horses seem to be playing to the audience. They were chasing each other around. 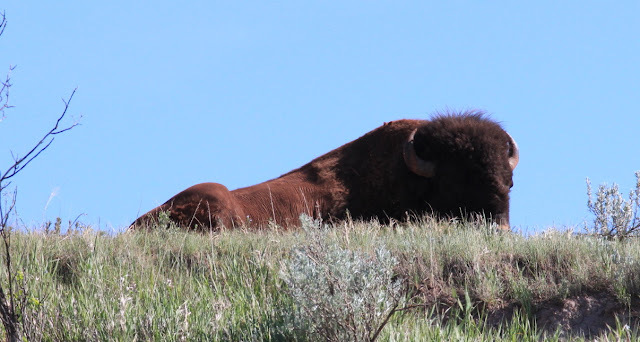 Some Bison were resting along the side of the road. 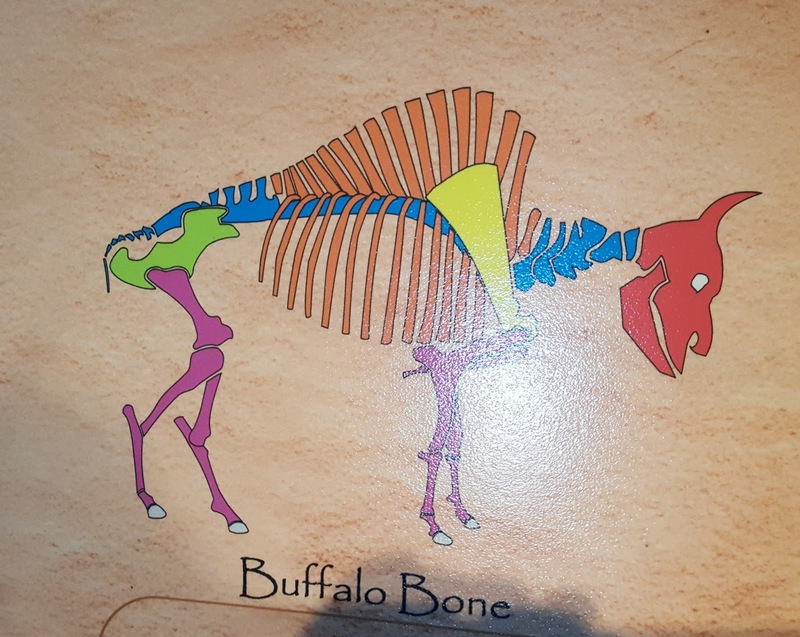 Loved this picture in the museum. 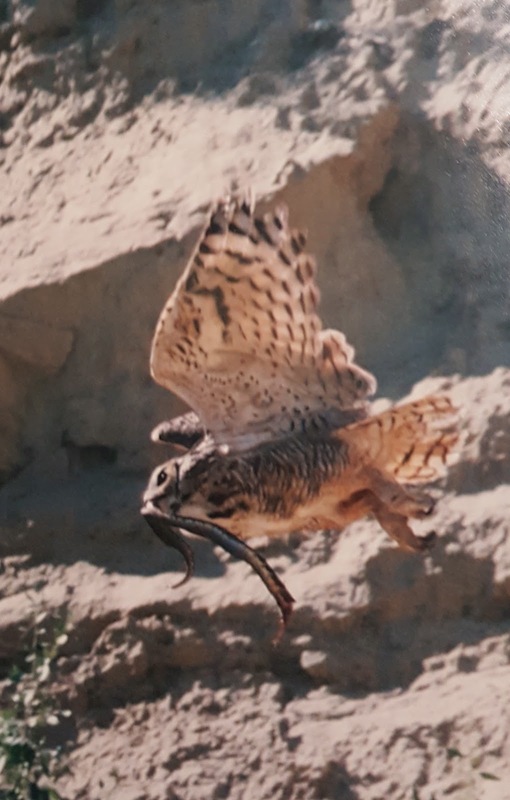 An owl in flight with a snake. 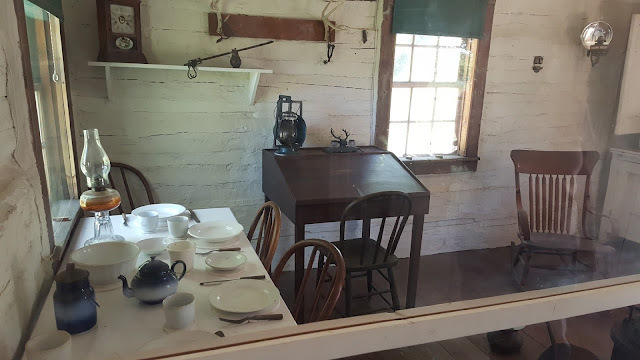 This is a cabin that Roosevelt lived in for a year. 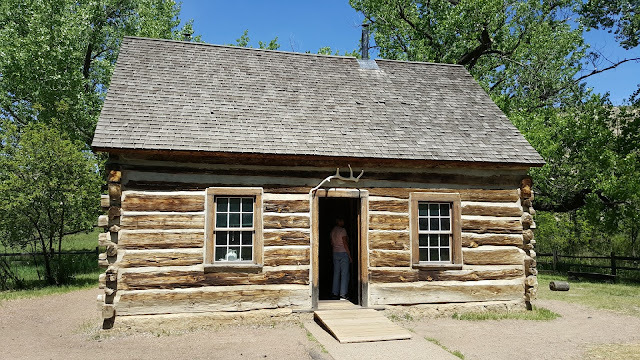 The Maltese Cross cabin was quite comfortable for the outdoor man. As he said"I would not have been president were it not for my experience in North Dakota." An interesting story of Roosevelt and the two Maine guides in a blizzard in 1886. 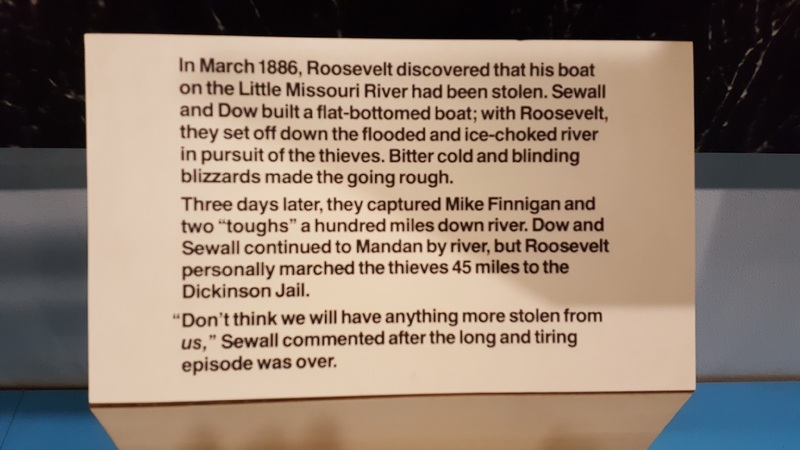 Yes--100 miles downstream and then marched the thieves back 45 miles to jail. A view from the scenic park loop. 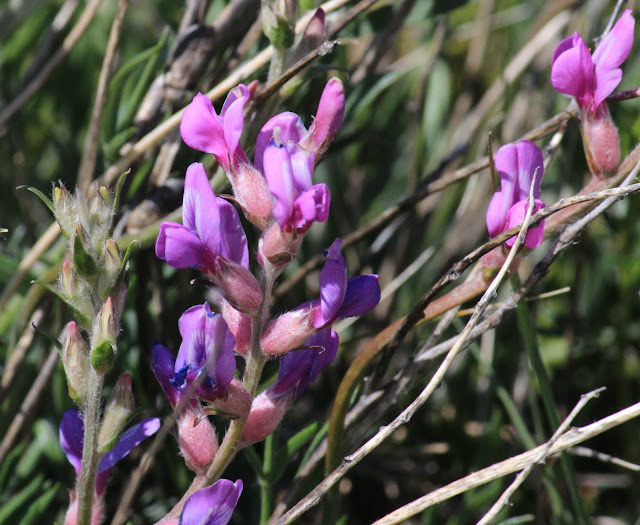 If you don't look, you might miss some of the most colorful flowers. 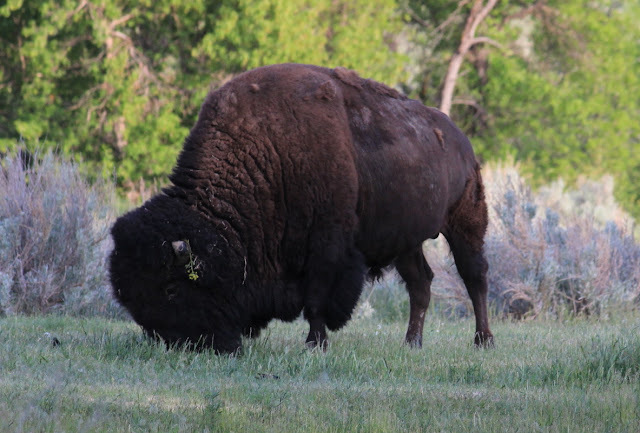 This Bison was right behind our campsite. 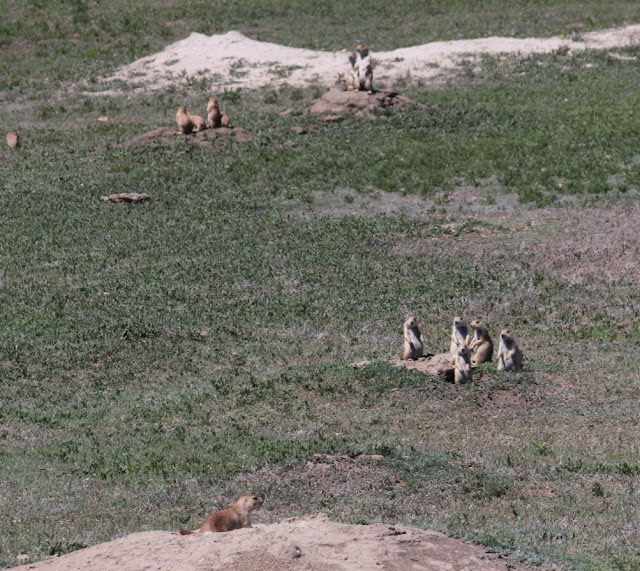 There are no fences, so everyone shares the same space. 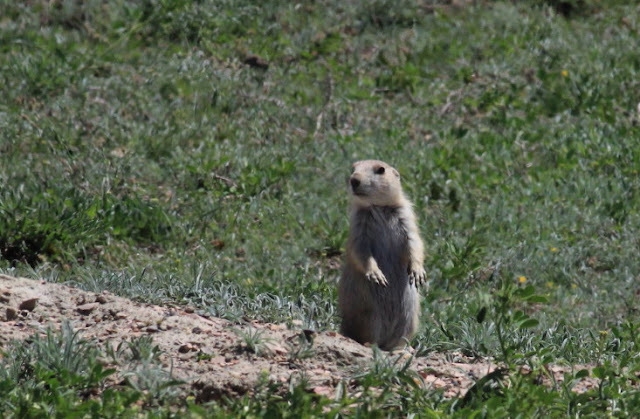 One of our camping neighbors had met one on their hike face to face--just a few feet apart. Peaceful Valley Ranch. Corral available for horses. Leaving the park, the oil pumps are quite noticeable. Heading east into North Dakota, the next stop is at Fort Abraham Lincoln State Park in Mandan. We could have chosen a site with electric and water, but this dry camping site had a great view of the confluence of the Heart River and the Missouri River. 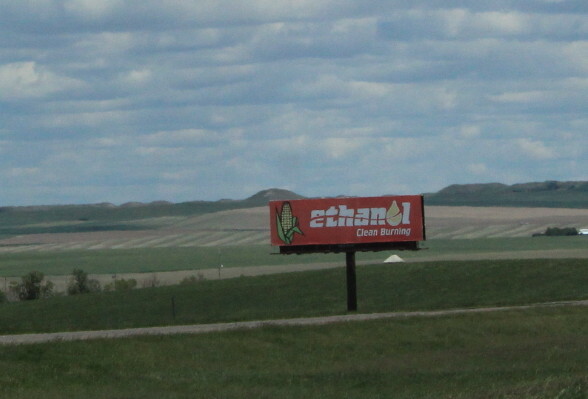 Very appropriate, since this was the site of the Mandan Indians. 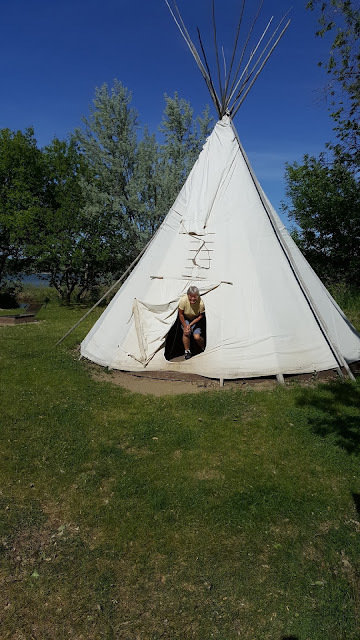 This teepee can be rented for camping. In 1875, this home was occupied by General George Custer and his wife. 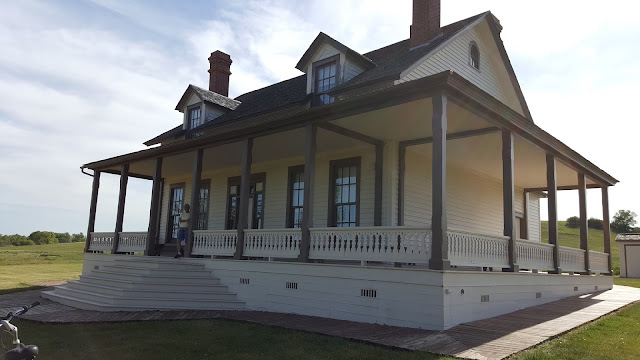 The house has been rebuilt-- with furnishings. 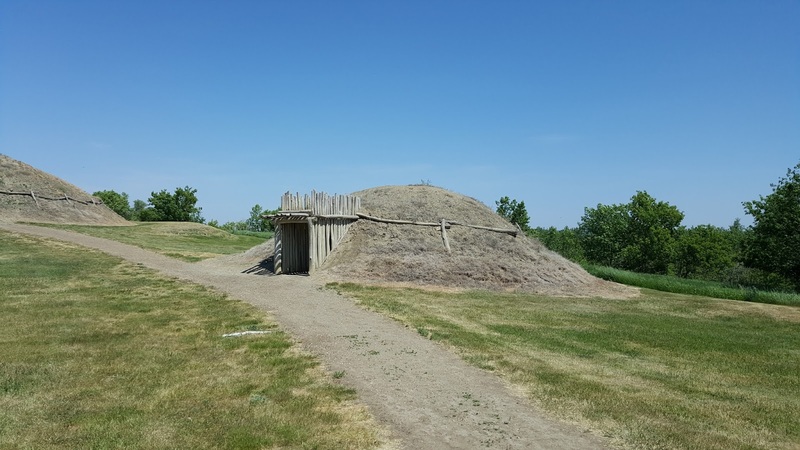 Also recreated on site is a replica Mandan village of earthen huts. 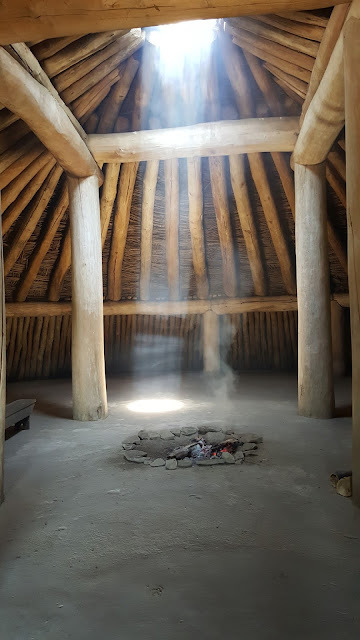 The huts are large and quite nice inside. The building was guided by a Mandan Hidatsa woman who had been quite involved in the heritage of the tribes. Tall ceilings with great drafting for the constant fires like this one. 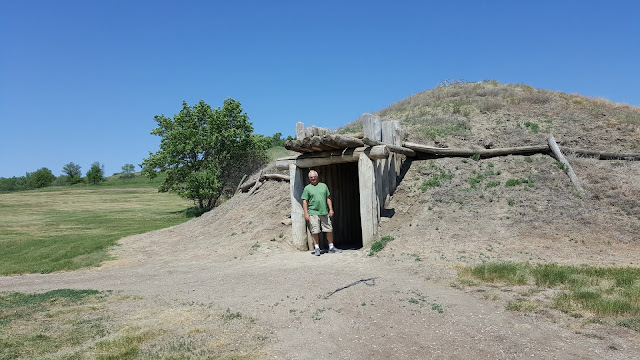 A good sturdy entrance, but Bruce notices that the entrance is low, even for his 5'8" height. We included this section because we know some of you will find this very interesting. 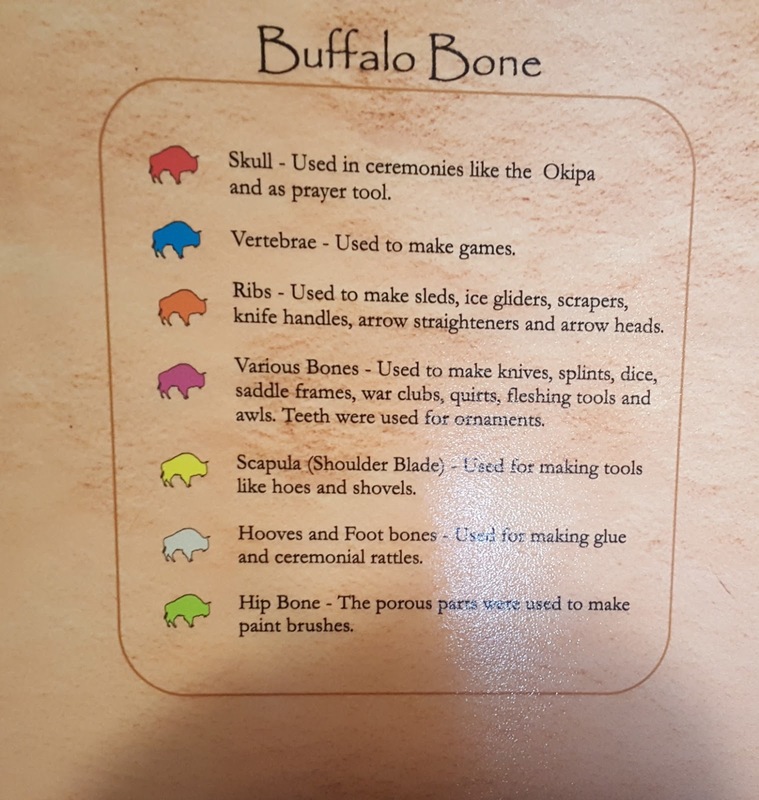 This was set up in one of the lodges--very colorful and very clear. 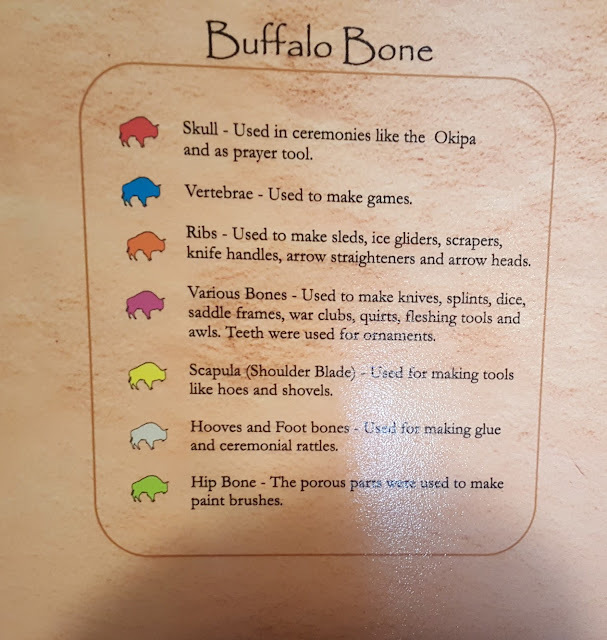 How many bone uses did you know? 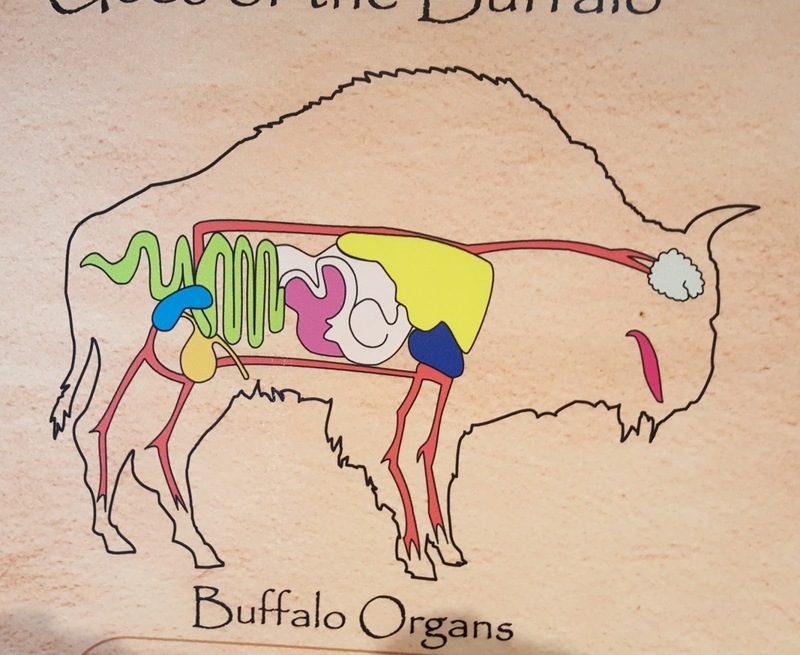 How about the organs? 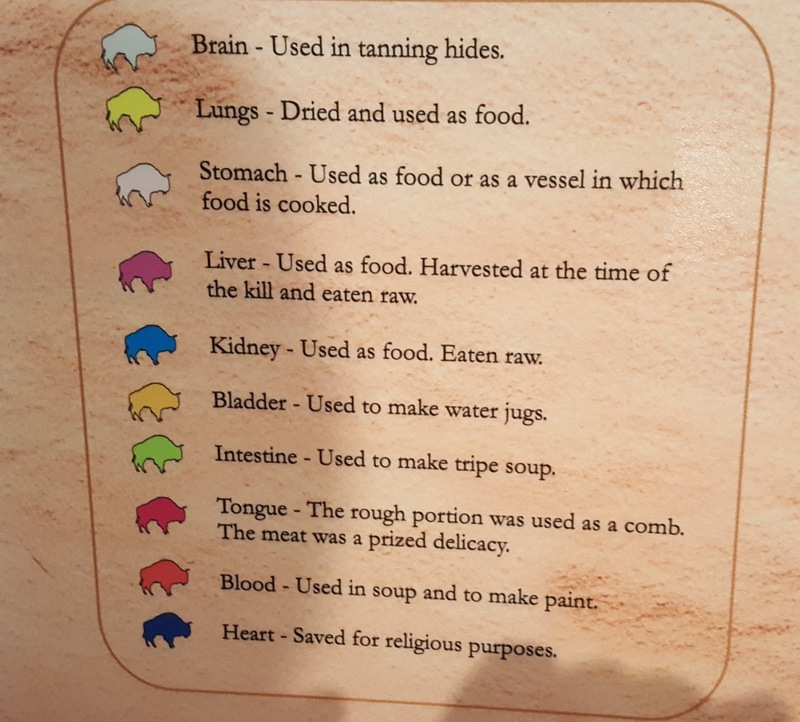 Jan and I did not know many of these. 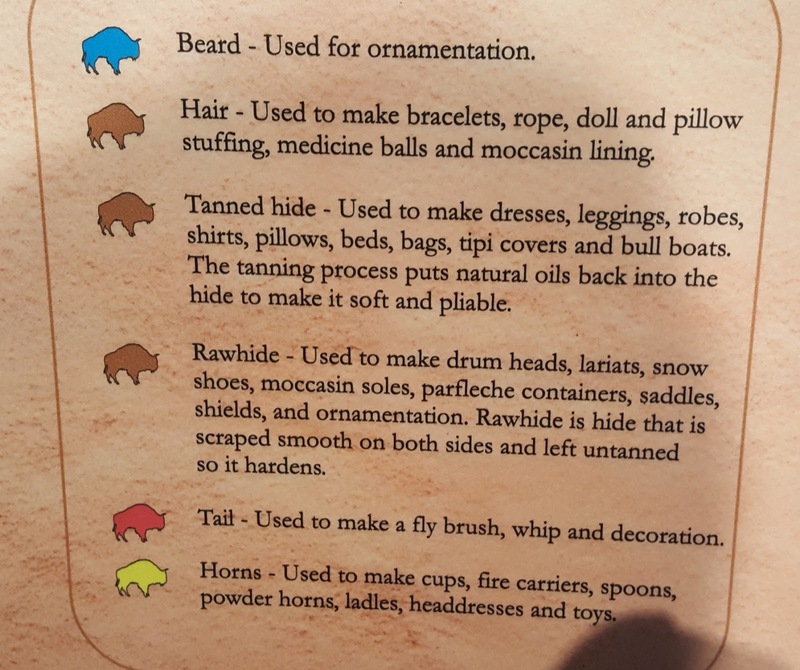 Also, the various uses of tanned hide versus rawhide. 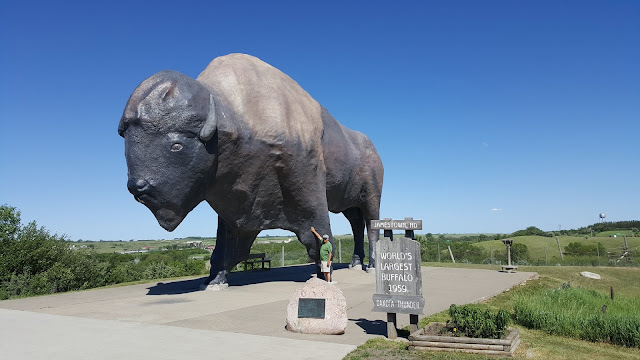 From Mandan to Jamestown , the home of the largest Buffalo---cement that is. Come on Bruce, you can reach higher. 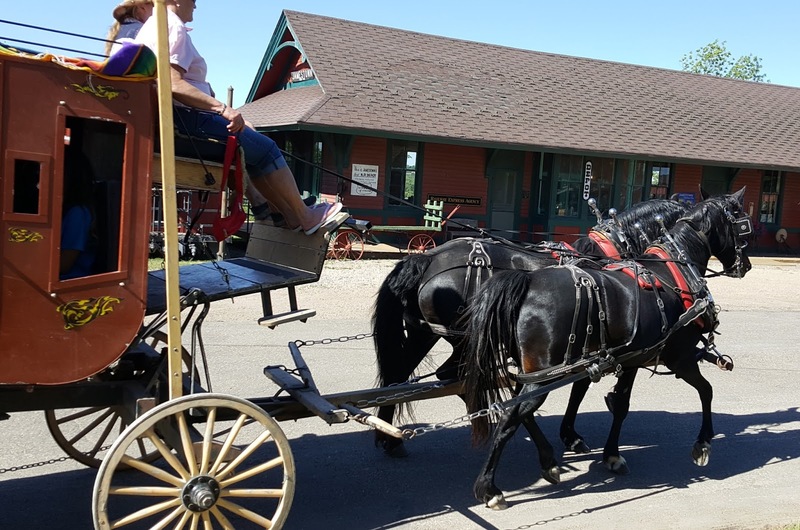 Even a Frontier Town with stagecoach for rides. And a mandatory antique. 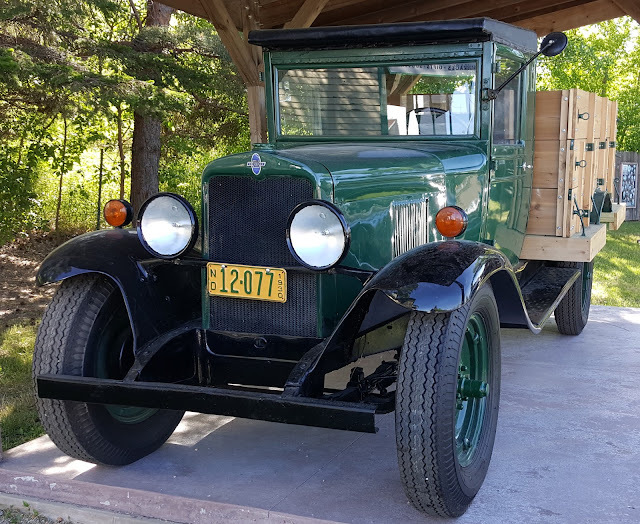 This time a 1930 Chevrolet truck. 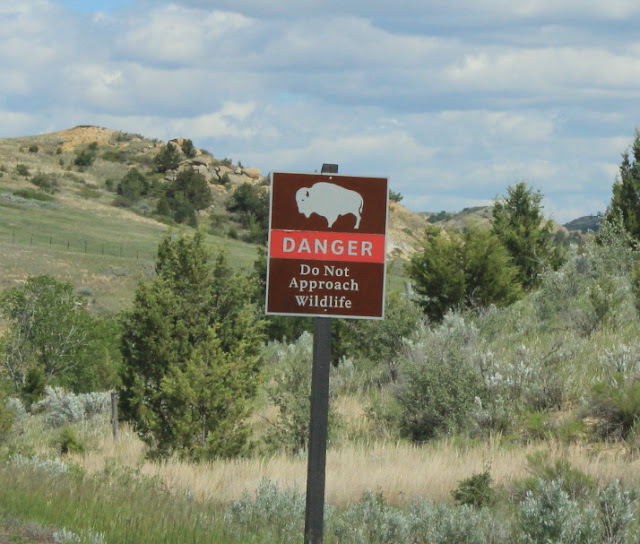 Also a fenced in collection of Bison. This time with an albino rarity. And here we are at Stoudt Ford in Jamestown along with a rental car. Why? Well here is the story. We were traveling along on Interstate 94, about 13 miles west of here. Going about 65 in a 75 zone--we always go a little slower--when suddenly the engine just quit. Yes--everything stopped. No power, no power steering, no power brakes. Luckily, we had time to get over to the narrow breakdown lane before rolling to a stop. Also lucky we had a phone signal. But not so lucky with the insurance companies. 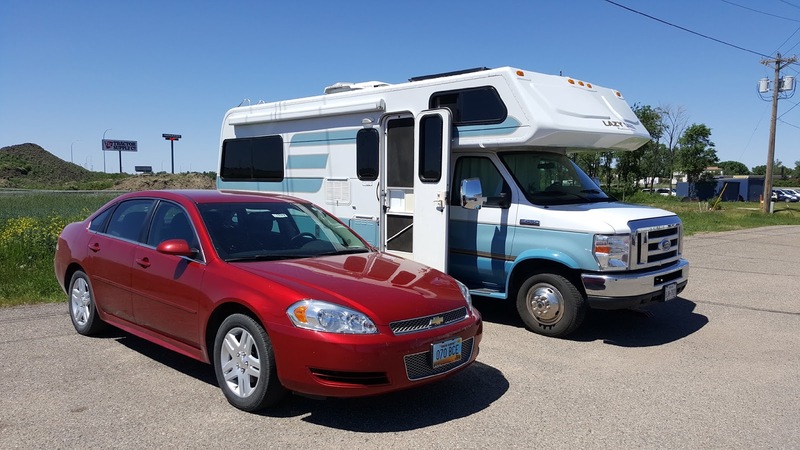 It took two and a half hours with our main RV company, but the closest tow they could find was in Fargo, over 100 miles east. Also, they told us that since it was that far it would cost us $190 out of our pocket when the tow arrived. That didn't seem right, so we called a second company that we had kept from automobile days. They took a long time also, but could only come up with a maybe tow--the driver wasn't sure he could fit us. Neither one could find a nearby Ford dealer. So we started calling dealers beginning with Fargo. 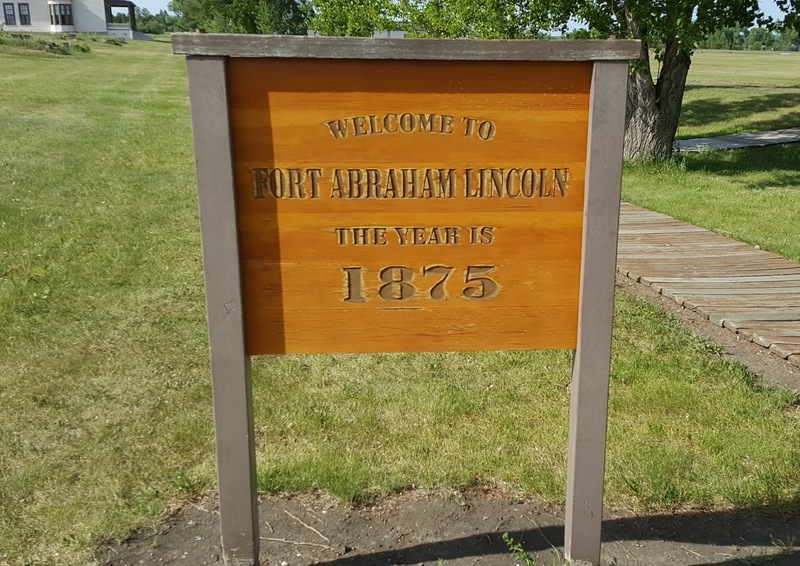 The Fargo dealer said "why not the dealer right there in Jamestown." We never had that name come up on our search and neither did either insurance company. But, we called and they said sure come along. So we tried starting Lady Blue again--it had been a very hot day--in the nineties--and after such a long time, she started. So, we said let's try. We made it to the dealer with just one stalling. Turns out---are you ready? The mechanic checked and quickly went for the air filter. I watched as he pulled it off and many dead bees fell out. Also noticed the filter ring, made from hard rubber, was broken and split--not keeping a lot out. Sure enough he found a dead bee in a sensor that governed the air/fuel mixture. With the bee blocking the flow, the engine died. Simple fix--new filter. Big question, why a broken filter. The mechanic said it had to have been broken while being attached?? 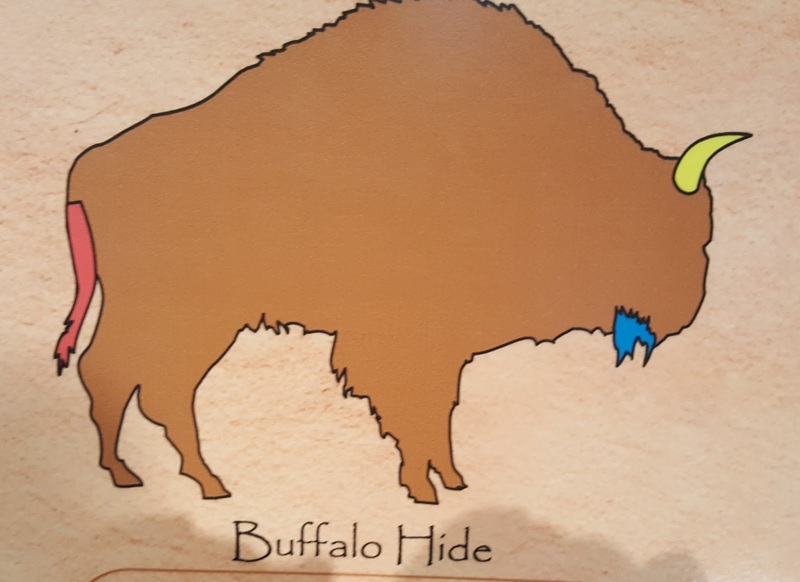 Of course that was back in Lake Havasu, Arizona. Meanwhile, once we began to breathe again, we couldn't be thankful enough to the dealership people. Everyone was so polite and helpful. They were all offering all kinds of help. The service desk originally set us up for Tuesday--after the weekend. But on Saturday, when things quieted down ,the manager sent the mechanic out to test and fix the problem. They were also , on Saturday, running a 5k, 10k, walking or running race for Breast and Cervical Cancer. Tenth year for the dealership and they had a lot of participants. We were more than happy to contribute to a great cause. This nice little 1955? 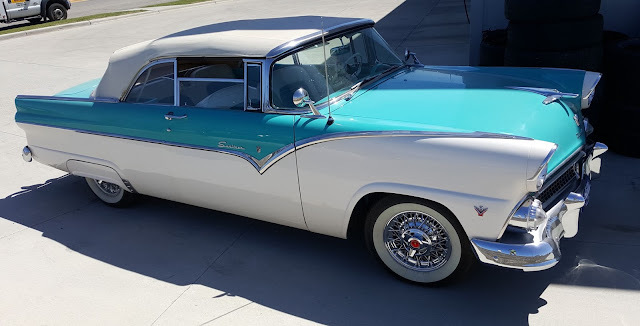 Ford Sunliner was next door. 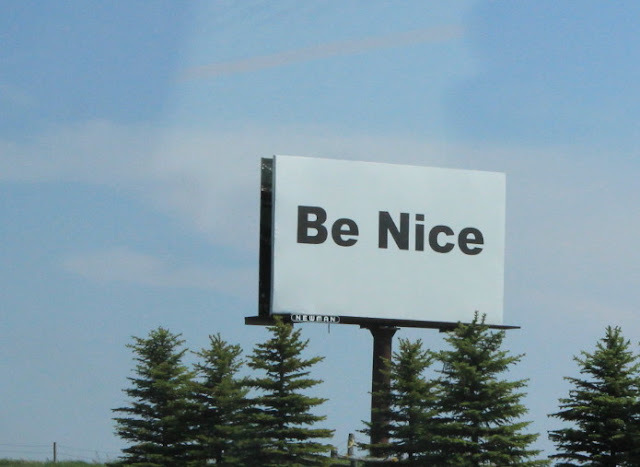 After such a long story, this second sign for " Be Nice" seems quite appropriate. Everyone was super nice to us at Stoudt Ford. Jan and I will just pass along that once again, most noticeably in this instance , you can meet some of the nicest people on the road. We heartily encourage the traveling---minus the highway engine stopping. One thing--after the fix, we both were amazed. Knowing that a dead bee was blocking the air mixture, how were we able to start Lady Blue and drive 13 miles with no major problem?? ?